Plot: A young English girl marries a millionaire but falls in love with a dashing nobleman on her honeymoon. Valentino and Swanson and a script by Elinor Glyn! Paramount knew they had a hit on their hands with this one. Swanson was already good friends with Rudolph Valentino (but only friends), who was the matinee idol of the time. Director Sam Wood used his experience with De Mille and infused the story with several "flashback" episodes so that the characters could be resplendent in period costumes. 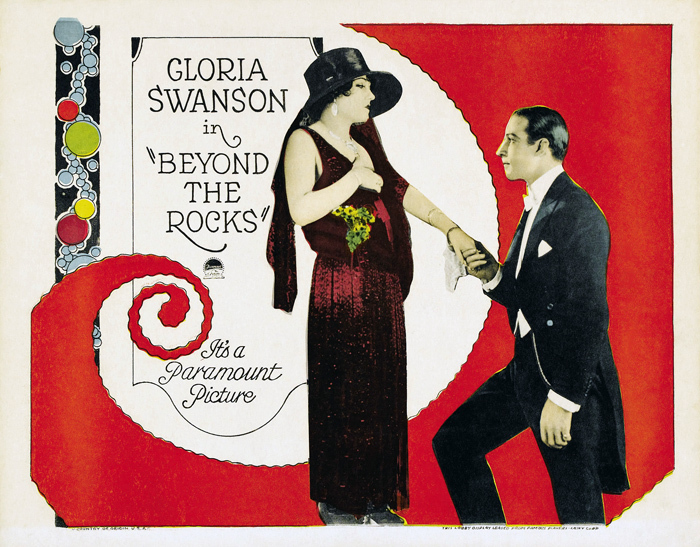 Beyond The Rocks was considered a notable lost film until it was discovered in 2000 in the Netherlands.